This system is made from galvanized steel. 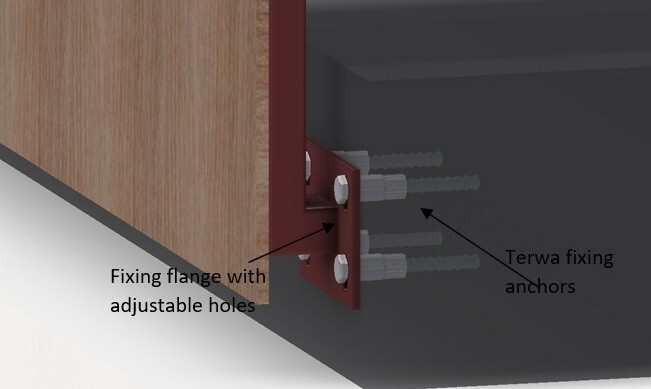 The profile is welded on a steel fixing flange with adjusting holes for an accurate alignment of the whole system. They are fixed outside the concrete slab to be used on the entire surface of the balcony.